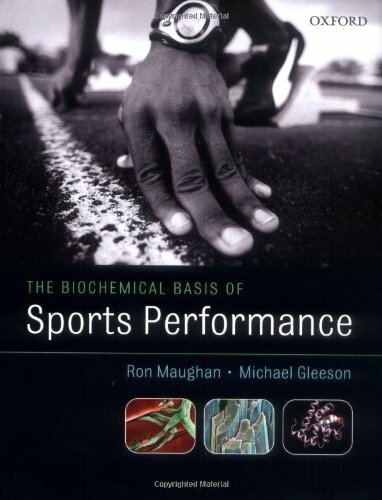 'The great strength and appeal of this book is that it beautifully brings together, like a seamless garment, the performance, the physiology and the biochemistry of the main different categories of sport, involving respectively strength, power, speed, endurance and multiple sprint game sports.....this is a superb book - totally readable, highly relevant interesting view of biochemistry as defined by patterns of sporting activity. Ron Maughan and Mike Gleeson are to be very warmly congratulated - and thanked for filling a major gap'. N.C. Craig Sharp, Professor of Sports Science, Brunel University 2004. Michael Gleeson is Professor of Exercise Biochemistry, and Ronald Maughan is Professor of Human Physiology, both at the School of Sport and Exercise Sciences, Loughborough University, UK.